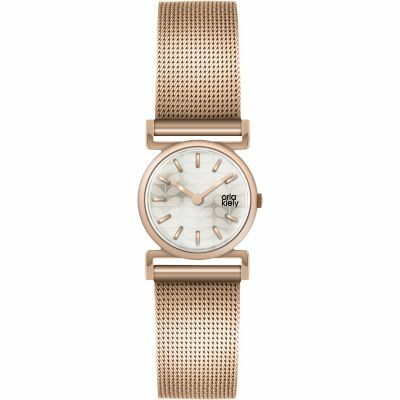 Orla Kiely Cecelia OK4038 is an amazing and attractive Ladies watch. 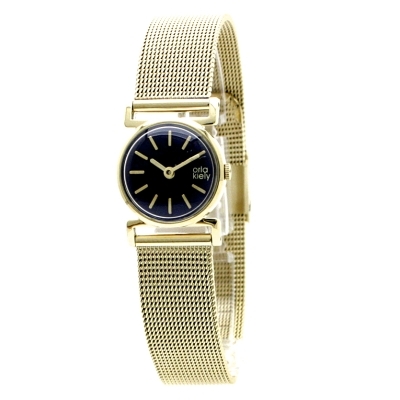 Case is made out of PVD Gold plated, which stands for a high quality of the item and the Dark Blue dial gives the watch that unique look. We ship it with an original box and a guarantee from the manufacturer. Orla Kiely is an Irish-born fashion designer currently based in London. A qualified textile designer, Orla Kiely worked for several big name companies before branching out on her own. Beginning with hats and handbags, Kiely has developed an iconic and original style that can today be seen on a wide range of fashion, lifestyle and homeware products and even cars! The Orla Kiely watch collection features her signature bold prints, quirky patterns and vintage colours in a variety of smart and casual styles. The distinctly feminine designs for Orla Kiely ladies' watches range from playful to refined and are ideal for everyday wear. Team your Orla Kiely watch with items from the Orla Kiely jewellery range to create a contemporary look with kitsch cuteness. Watch Shop is an authorised Orla Kiely stockist. Sign up to receive email updates when new styles of Orla Kiely are added to Watch Shop!